I know that court reporting seems like the simplest of exercises. And at its essence, it is. What could be simpler than capturing a record of legal proceedings? Attorneys and witnesses talk; we type. End of story. Except that any paralegal who has been around the block more than a few times knows that the difference between a talented, professional court reporter and – let’s say – a “less than talented” and unprofessional court reporter is a large one. When attorneys are unsatisfied or, worse, embarrassed by the poor quality or amateur conduct of a court reporter, a finger gets pointed somewhere. It’s likely right at you. That’s an unpleasant feeling, isn’t it? I know the opposite is not proportionally true, and that’s unfair. That is to say when court reporters do their jobs perfectly – when they show up on time, don’t make a spectacle of themselves, and turn quality transcripts around in a timely manner – you DON’T get kudos for that. A professional, talented court reporter is the minimum expectation. I also know that you don’t obsess about these things. The problems of the court reporter only become a problem for you when there are problems with the court reporter. So let me turn the telescope around for a moment and give you a glimpse through the other end for a moment. Here are a few pieces of advice for working with a court reporter that not only will keep you from looking BAD, but that have the potential to make you look GOOD. Know What We Can Do for You. We can and do perform miracles when called upon to do so. Rough draft transcripts, overnight transcripts, realtime feeds to tablets or laptops, out-of-town scheduling of depositions, free conference room space in most major cities across the country … the more you’re aware of our services and capabilities, the more you can draw on our resources not just to meet, but to exceed your expectations. Transcript Turn-Around. There’s an old saying that “lack of planning on YOUR part doesn’t correlate to an emergency on MY part.” Pardon me, but that’s a load of “bravo sierra.” We’re in a service business. Court reporting firms SHOULD be measured by our ability to make YOUR emergency our own. If you’re holed up in your office all night, sucking down coffee and cold pizza preparing for the next day’s proceedings, our evening will be equally unpleasant in an attempt to help you. Communication A corollary to Item #2, but the more we can have a clear picture of what you have on the horizon, the more capability we have to ensure you get exactly what you need every time. Likewise, the more we know what’s happening next week, the week after, and the week after that, the more flexibility we’ll have when those emergencies pop up to quickly re-allocate resources and meet your last-minute demands. Does your attorney have a brief due the day after a deposition? Let us know that you’ll need an immediate rough draft when you schedule, and we’ll make sure the reporter assigned to your case is able to deliver. Trial starts in two days? No problem. If we know in advance to prepare your final transcript, you won’t have to make a panicked call from the courtroom hallway. The more we understand your firm, your expectations, and the demands of your attorneys, the better position we’ll be in to make you look good. Don’t Tolerate Bad Reporters For the Promise of Saving a Few Pennies. I’m not saying you should tolerate being over charged. In fact, I’m saying you shouldn’t. Digital reporting companies in Kentucky often promise a lower price, but upon closer examination, you’ll find that their overall cost exceeds the cost of an experienced stenographic court reporter. $3.95 a page sure sounds like a better deal than the page rates that realtime court reporters charge, but this is misleading. If your reporter certifies the transcript on page 100, your bill shouldn’t reflect 120 or 130 pages of charges. Do the math. If you’re paying full page rates for the inclusion of word indexes at the end of the transcript, you are paying more. We provide detailed, line-item invoicing so you always know exactly how much you are paying for each of our services. 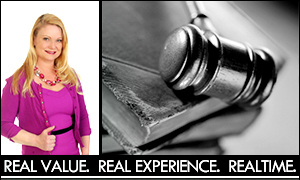 Call on Migliore & Associates for your next deposition or trial. We are ready to impress!